It’s been a flurry of activity around here! I finished up my time at Artists in Action and had to rebuild my studio when I brought everything home. Plus I needed to carve out space to needle felt a large, and I mean large, piece I submitted to an upcoming exhibition. I’ll find out in a couple weeks if it made it in or not, but the piece is roughly 39″ across and circular. I worked on “The Journey” off and on. I also painted the kitchen cabinets, well more correctly I painted the bottom set. Didn’t quite make it to the top ones yet. I painted the bathroom vanity. Of course that meant a new rug and shower curtain. This vanity will go when we redo the bathroom, until then I can now live with this one we have until we replace it when we do a complete makeover. We’ve put up a new light over the dining table, new light in the kitchen and new light on the top of the stairs. Know what that means??? No more wagon wheels!!! 😄 Slowly but surely we are leaving Bonanza behind! Woohoo. 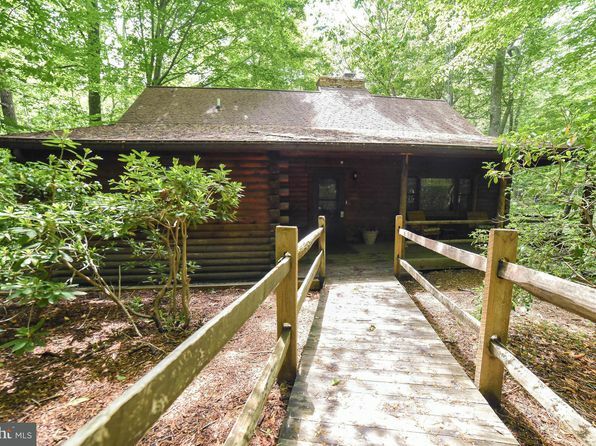 For those catching up here, we bought a log cabin built in 1984, replete with wagon wheel lights, Holly Hobby ruffled curtains – you name the kitsch, it was in here I think. I have seen my ortho doc again and am scheduled for surgery on my heel/Achilles tendon on the 18th. That has been an ordeal on its own. I’m in the midst of changing primary care doctors, getting my records moved from my old doctor to my new one, jumping through all the insurance hoops, plus extra hoops to please the ortho doc since I reached the “magical age of 55” meaning I needed an EKG and physical prior to surgery… Trying to get all this done before hubby possibly has upcoming work trips next month. What fun! Between now and surgery and during recovery I’ll be working on a review for a pattern I’m really excited about. (More on that later. 😊) Then I’m also working another piece for another upcoming exhibition that I need to submit by April 2. It’s another large piece but I know what I want now so it’s just actually making it. Fiber Art Now has a call out that is due sometime in May, the 17 I think, that I’d like to submit something for that one. I have a couple ideas swimming in my brain that need to “gel” and go from there with them. In the fall they have their Excellence in Fiber V exhibition. I know what I would like to submit for that, it’s just a matter of figuring out how to felt it. 😄 Once I figure that out I’m off to the races so to speak. So my beloved “Scoobyru” – my Subaru Outback (#Subarulove, #SubaruAmbassador) was awesome once again to help me get everything over to Artists in Action. She swallowed tables, bins, display materials… I love my Subaru! Can’t say enough good about that vehicle and will continue to sing her praises. 😊 I’m also handing out Subaru pens and pencils as I do my community art project. We’re doing origami lucky stars and I’m having folks write a good wish for the year on the back of the paper, fold it, put it in a jar, then I’ll put them in a decorative jar and give it to Annmarie Gardens. If they are interested I’m also giving them brochures. Yesterday the first artist of “my group” left. 😔 It was sad to lose her, we’ve all been having so much fun. But it was like breaking up the band or something. It was so sad to see her empty space next to mine by the end of the day. I believe her replacement comes in on Friday and I look forward to meeting her. I’m sure they all felt the same when the artist that was in my spot left and I came in, it’s a rolling event with us moving in and out over the course with five available spots. This Saturday should be rather busy since they are holding their Valentine’s Maker’s Market and it will be an indoor event. Tables will be inside on both floors and I’m not sure about the other artists but I plan to be there. I’ll be there on Sunday too. If you’re in the area stop by, there are some really talented ladies there right now and I’m sure there are more talented artists coming in as it progresses. That was the end of my list on Nov 22, 2018. Last year wore on me a great deal, physically and mentally, but as I said above I am not going into the New Year with a soul inspired to do more I seem to be bursting into the year! I have been creating and playing with new ideas and improving old ones too. Keeping a list or journal of ideas and inspiration because I don’t have enough hours in the day to do all I want to do and get done. It’s all just bubbling up from somewhere and “my cup runneth over”. I don’t know what has opened the flood gates, but the ideas have just been tumbling in and I’ve taken to keeping a notebook close at hand to write them down because I know a dry spell will come when I need the ideas! I’m working to get a few new items done to display/sell at Artists in Action as well as settle ideas for what I want to work on at the museum while people watch me. I’m slowly getting things organized as to what goes with me and what stays here and what I need to “prep” to work on there. This also means my studio that was finally getting settled is now getting torn apart again! ☺ My wire cubbies are coming out of the closet to go with me to hold fiber for spinning and felting. One of my wooden rolling carts comes with me with all of my threads for sewing. (I’ll have to many little items I’m taking to sew to narrow the thread selection) I’m taking a couple pieces of grid wall to set up to hang some of my origami pieces for display and sale, but those aren’t out of my studio. The tables going along with the grid wall though will come from my studio. My nice chair, my big rolling magnifier light… Not to mention my treadle sewing machine and spinning wheel. And once this great adventure is done I will have to try and put things back together again at home. I know myself and I will never remember where I had everything!!! 😄 So for now I tear apart, have fun creating, and worry about the other end later. I got the tile down on the floor of the attic space off my studio yesterday. Today we get the studs and insulation covered so it’s cleaner in there, brighter when the light is on and a better environment for me to store some of my supplies. What a chore! But so much better once behind me and I can finish clearing out the storage unit and be done with that. Of course we’re expecting 1-3″ of snow today! I had planned to empty the storage unit today because a unit close by is apparently being used by FedEx or UPS as a drop point for drivers to come collect packages to deliver. The last three times I’ve been there I’ve had to wait for them to leave to pull up to the hallway for my unit or drive around the building and use the door at the opposite end of the hallway to access my storage unit. My next payment is due in the 24th and their use of their unit won’t slow down any so I will have to grin and bear it until I make these last few loads to clear it. Then the rest of the week is spent clearing the remainder of the boxes, putting up the last of the Christmas decorations, getting the RV ready for us to move into it when the in-laws arrive for their visit… It’s going to be crazy. I need to run by the shop with a display of my felted acorns. I have two Christmas trees in the shop and apparently everyone wants them individually! Now they can buy them either way. I think I will be moving my needle felt supplies temporarily into the RV for the evenings while we are out there until bed time while the in-laws are here and if I have time to work on something while in the house I’ll knit infant or preemie socks that are needed at the shop. As the season gets busier, as the hustle and bustle gets more and more, find some quiet time each day to just “be”. This move has about killed me, but the cabin itself has been such a gift. The peace here is beautiful. I love to step out on the back porch at least once a day just to take a moment to listen and relax when everything else around keeps going at warp speed. Or take the time to watch the deer when they come through the yard. It’s these little moments that help us deal with the catastrophes. I’ve been busy cleaning up after Thanksgiving and transitioning the home to Christmas. Some things are in place and set, some are a work in progress and some I have not even begun. I’ve been working on hand felted acorns to decorate with and finished the first Christmas tree to list for sale. Working on a white grapevine wreath with the acorns on it as well. It’s hard to tell in the photo but there is just a little bit of micro glitter to the acorn tops. I used a mica powder in the protectant I coated them with prior to using. I had time to make some “MD crab” resin ornaments. (pictures to come) Those are mostly blue for Maryland blue crabs, but I did pour some red ones as a special order and will probably pour a few of those for sale as well. I have a multitude of little snowflakes in all sorts of colors. The snowflakes I like, but a few were disappointments. I used some “interference” mica powders for a few. Those colors are a pearlized color but the color; red, green, blue, violet; only shows when you tilt the piece so the light hits the mica powder at the right angle. The snowflakes are small enough that you don’t get much effect there like you do with a pendant for a necklace. I’ve got to run by the storage unit this week to get more of our Christmas decorations out. I’ll get more stuff settled here and set in the work room downstairs. My goal is to get rid of the storage unit asap. On top of all of the art, getting the home ready for the holidays, that kind of thing, I have to get the cabin ready for my in-laws to come stay for Christmas and our 5th wheel ready for us to stay in while they visit. Since we have no second bedroom (the teeny, tiny “second bedroom” that you could maybe fit a twin bed in is my studio) we’re out in the RV during the visit. So I’m pretty busy here these next few weeks! Maybe I can catch my breath in January. There have been times when this year has been very trying and just physically exhausting, including right now. 😊 Overwhelmingly this has been an amazing year though. I have truly been blessed and so much to be thankful for and I am truly grateful. I have some wonderful friends who have been there to support me throughout the trying times this year and I am so blessed to have them in my life. Just to have an ear to listen to me whine and moan, a shoulder to cry on, was such a comfort at times. That enabled me to pick myself up, dust myself off and get going again. To laugh with me, sometimes at me, during the good times, celebrating the ups along with shoring me up during the downs, I thank you. I couldn’t get through the daily grind without each and every one of you. A wonderful friend who was just fighting for his life in a medically induced coma, diagnosed with Toxic Shock Syndrome, has fought his way back and may be going home from the hospital soon. What a blessing to have him come back like that. He still has a road ahead recovering, but that’s better than the alternative. For the most part I have my health. Sure I deal with fibromyalgia (and other things) and have good days and bad days, but I’ve had more good than bad I think. I’ve been dealing with the Achilles tendon here lately and physical therapy for the micro tears, but that will all heal. We have our new home, our “cabin in the woods” that is so peaceful and full of inspiration. We have deer and squirrels visiting all the time and I even caught a fox sneaking through the yard early one morning just at the break of daylight. It is our refuge. I’m thankful for our kids who helped with the move. They were awesome and graciously spent several weekend days throwing their backs into the heavy lifting. They helped out with the staining of the interior logs of the cabin prior to us moving in too. It definitely helped to make the move run more smoothly. And last, but by no means least, my husband. He’s been there through thick and thin, good and bad, stressful and smooth sailing; supported my crazy art ideas and art explosions all over the house; believed in what I was doing even when I was sometimes unsure myself of the course I was taking; always my best cheerleader; and above all my best friend. Even though he can be exasperating at times (I admit he is getting better about giving me back my tools) I still love him dearly. I hope as each of you looks back on this year you find you had more blessings and goodness than you realized. I hope you have family and friends to share your load, your joys, your sorrows, and your journey. And as you begin to look forward to the new year approaching, and it is fast approaching(! ), I hope you will go into that new year with inspiration, plans, and a brightness glowing in you that comes from a soul inspired to do more, explore more, give more, share more, and just “be” more.